Folklorists Jim Leary and Rick March have distilled a definitive presentation of Upper Midwestern traditional and ethnic music, from Ojibwe drums to Norwegian fiddles, from polka to salsa, from gospel choirs to southeast Asian rock bands. The book is a listener's guide packed with photos, essays, and resources. 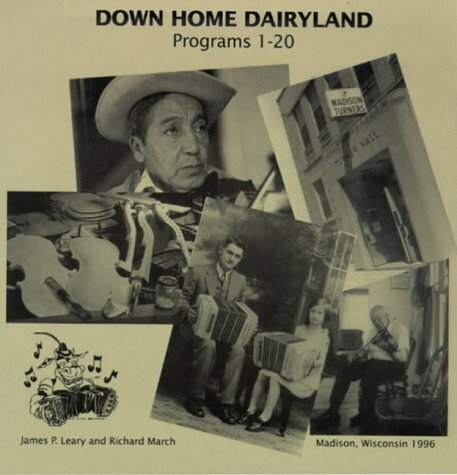 The recordings, available in either cassette or CD format, provide samplings from the Down Home Dairyland series of programs on Wisconsin Public Radio. These audio collections include interviews with traditional musicians, sound recordings, and discussion of the patterns of musical styles in Wisconsin's musical heritage.